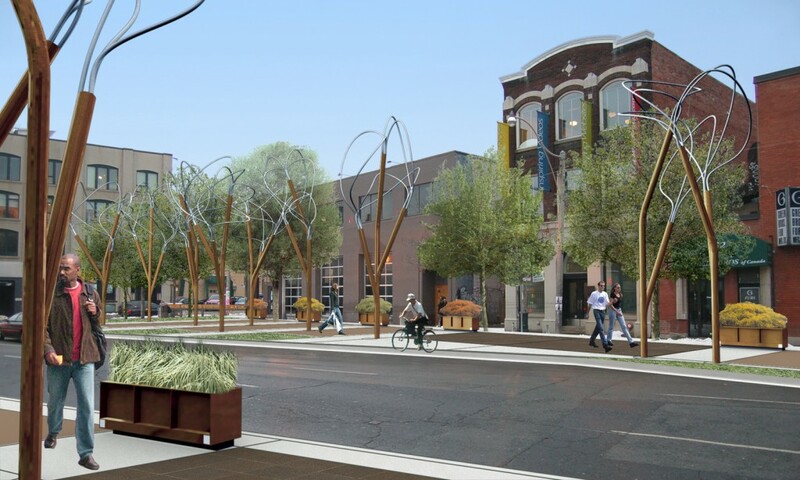 In 2008, our office was commissioned to produce a conceptual design for the improvement of the streetscape on Richmond Street West, just east of Spadina Avenue. 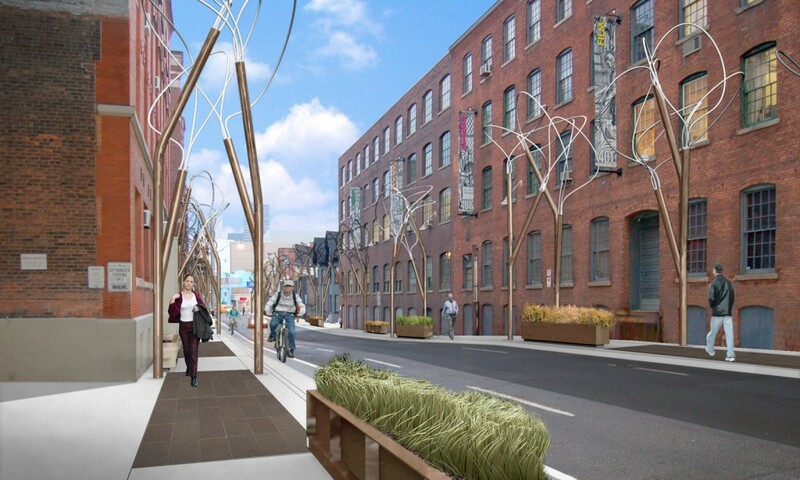 This section of one-way street had evolved from an industrial access road -turned- commuter express route into a cultural centre with the reinvigoration of Toronto’s fashion industry and the development of the art and design centre at 401 Richmond. At the time, new developments were beginning to be contemplated on this block of Richmond. 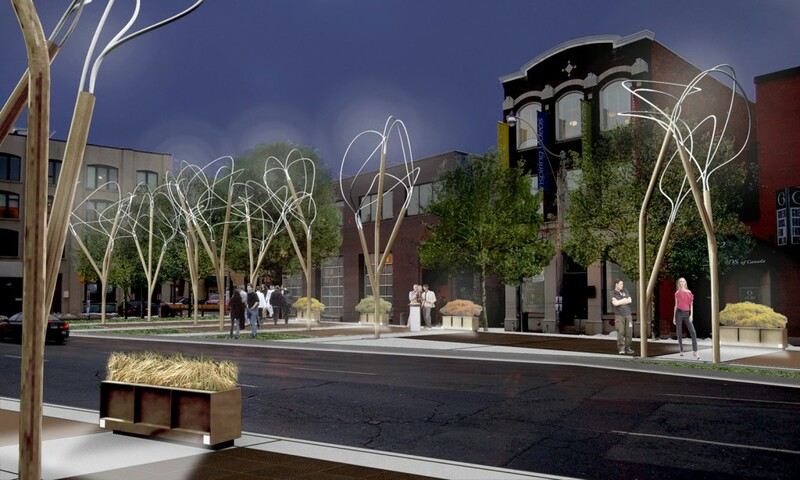 We prepared a conceptual design for the widening of the sidewalk and the installation of protected planters and artistic street elements in keeping with the district’s character and function.